As you've no doubt noticed, I've been a tad busy lately. I had to study for finals, did a load of microscopy, got my first tangible results in the lab, and went on a roadtrip across the Southwest US. Now I'm home, listening to the rain (and Róisín Murphy), but thinking about deserts. When I was very young, I discovered an old book on the dark shelves of my grandfather's house during one of our December holiday visits. The text and photographs in this book detailed vanished cultures and the mysterious objects they left behind: the jungle ruins of the Maya, the moai of Easter Island, the standing stones at Carnac. The most arresting image in the whole book was of a gravel plain in the Sahara simply littered with abandoned millstones. That was the moment I realized that the environment is not a static thing: the Sahara was green once. Buried beneath its dunes and sand drifts lie intricate networks of river valleys carved into the bedrock. Some 10,000 years ago, the continued retreat of the European ice sheets of the last glacial period had shifted the monsoons to the north. 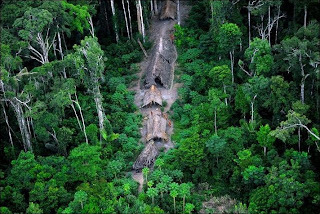 This converted the plains of the Sahara to grassy savannah and covered the slopes of its mountains with forest. Humans settled in the area; the art they created illustrated herds of cattle and a menagerie of wild animals like antelope, elephants, giraffes and even crocodiles. About 6,000 years ago, the Sahara began to dry out again. Rock art from this period depicts the rapid loss of once-plentiful grazing land, as well as subsequent battles over the diminishing resources. The savannah and the forests are gone. The Sahara is a place for nomads now. 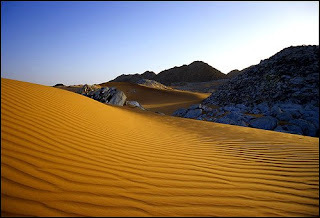 The Ténéré is a vast sea of dunes bordered by mountain ranges in the Sahara region of Niger. For centuries the Tuareg have run their azalai salt caravans through this hostile environment, traditionally with caravans numbering up to 20,000 camels - as witnessed by French colonial forces in the early 20th century - and using smaller convoys of off-road vehicles today. 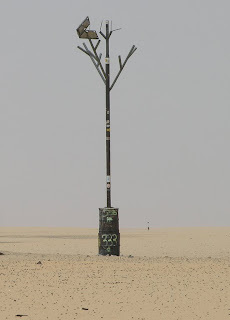 In this featureless wasteland, bereft of water and shade, grew a solitary, stunted Acacia tree. Even though its height was no more than three metres, it was visible from miles away. It became an important desert landmark, a sacred place for repose and the only single tree to be indicated on maps with a scale of 1:4,000,000. With its closest neighbours more than 400 km away, it was the most isolated tree on Earth: the last surviving member of the ancient Saharan forests. In 1939, a well dug by the French military at the Tree of Ténéré revealed that its roots reached down to the water table, 35 m underground. To the Tuareg this tree, estimated at 300 years old, was not only a navigational point of reference but also a symbol of life itself, protected from harm. Not a single leaf was fed to a camel, not a single branch was broken for firewood. In his notes for 21 May 1939, Michel Lesourd, Commandant des A.M.M. of the Service Central des Affaires Sahariennes, wrote, 'There is a kind of superstition, a tribal order which is always respected. Each year the azalai gather round the Tree before facing the crossing of the Ténéré. The Acacia has become a living lighthouse; it is the first or the last landmark for the azalai leaving Agadez for Bilma, or returning.' A true miracle, this tenacious tree. So why am I writing about the Arbre du Ténéré in the past tense? 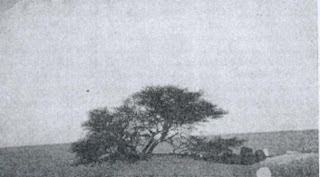 When Raymond Mauny travelled to the tree during the 1959 Berliet-Ténéré Mission, he noticed with alarm that the tree no longer resembled Lesourd's photograph from 1939 (above), noting that, 'It was the victim of an automobile accident; a military lorry, backing, had broken one of its principal branches. 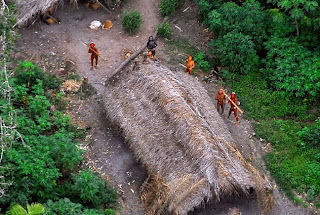 This branch had been sawn up and used, and the bit of trunk that remained had been trimmed. Is it not still considered to be taboo?'. Fellow explorer Henri Lhote, who had previously seen the tree in 1934 remarked, 'Before, this tree was green and with flowers; now it is a colourless thorn tree and naked. I cannot recognise it - it had two very distinct trunks. Now there is only one, with a stump on the side, slashed rather than cut, a metre from the soil'. 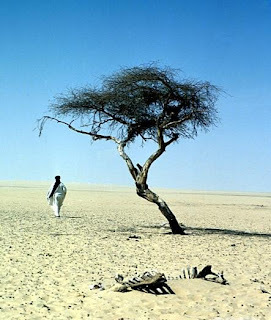 Photography credits: Ténéré desert landscape © Alessandro Vannucci; the Tree in 1971 © Peter Krohn; new tree sculpture © Shepherd family; Please visit these astounding photographers for more desert delights.